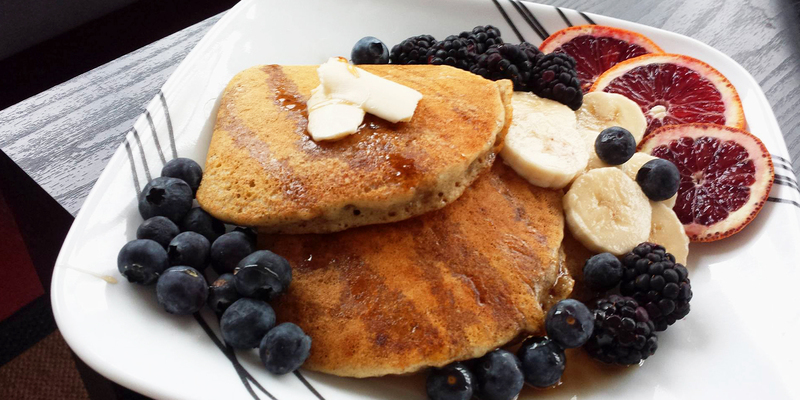 We love our lazy Sundays around here and what goes better with sleeping in than a tasty batch of fluffy pancakes! For a long time I thought vegan baking was a hopeless feat without eggs. Substituting dairy is easy but eggs are what is often known as a leavening component giving baked goods their fluffy and light texture. 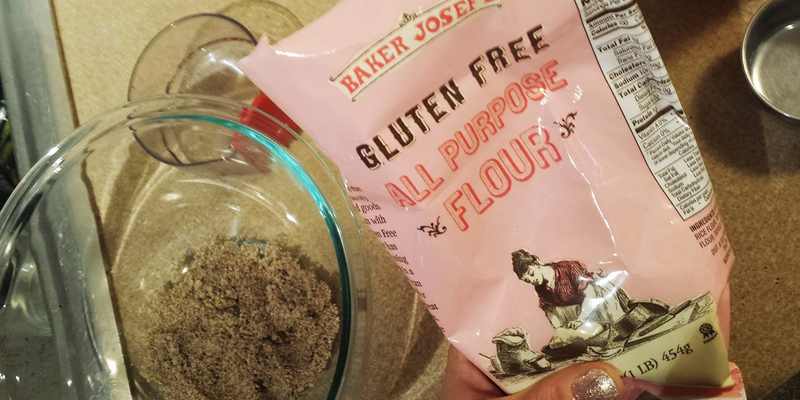 On top of that my husband is gluten-free furthering the restrictions on my ingredient list. 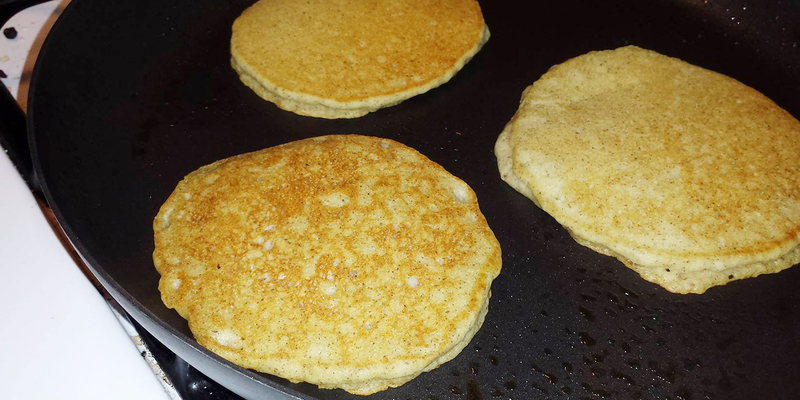 I didn’t even bother trying to make pancakes for awhile until I was tasked with creating a vegan cake for a coworker. I read through recipes for hours scrutinizing their leavening choices and weird un-heard of ingredient selections. I just wanted to make a cake without having to use a bunch of fake vegan eggs, gums and weird crap…is that so much to ask? I almost gave up but one of the last recipes I read through used all normal ingredients and relied on a mixture of acid and baking soda to fluff the cake up. It turned out beautifully, had the lightest crumb and rose like any other traditional cake. I couldn’t believe it. You didn’t even need the eggs! The chemical reaction between the acid and the base worked just as well if not better. 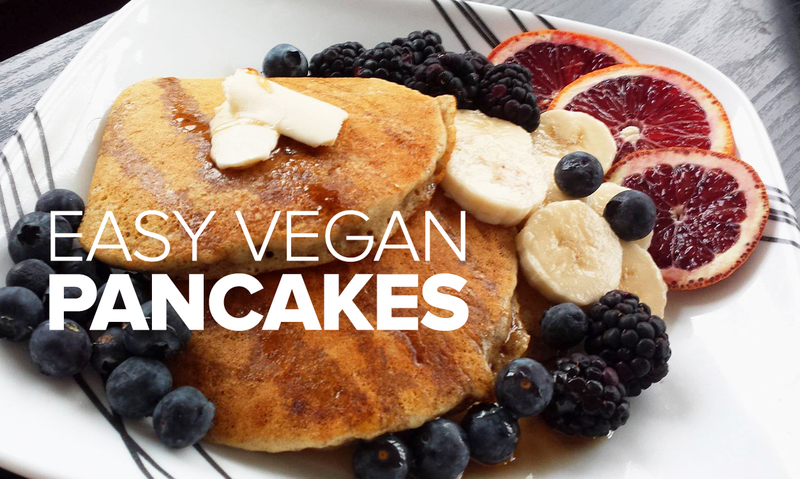 I have since begun experimenting and applying it to all types of vegan baking including these pancakes. I use lemon juice in this because I like serving them with blueberry sauce. You can substitute apple cider vinegar or white vinegar if you’re not into lemon. 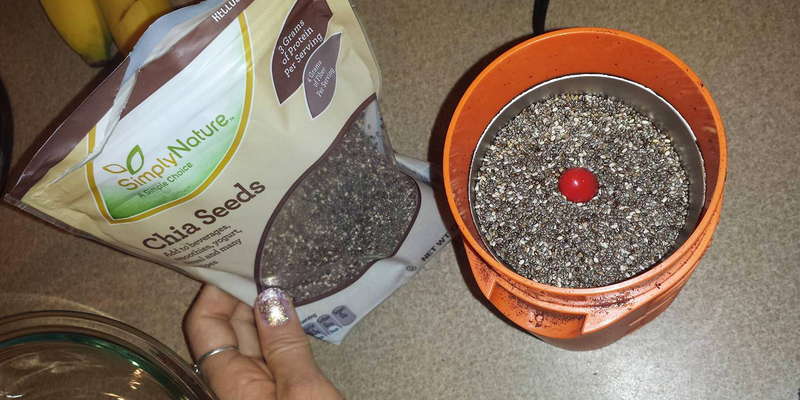 In a coffee grinder or food processor pulse your chia seeds until finally ground. 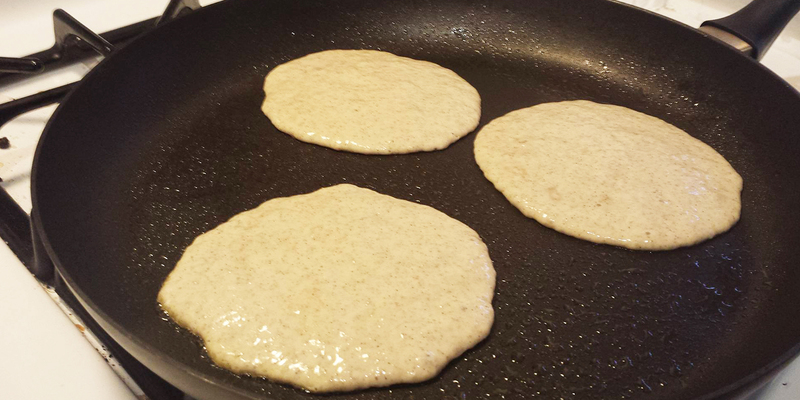 Chia seeds become gelatinous when combined with wet ingredients which helps keep these pancakes together and holds in the moisture. 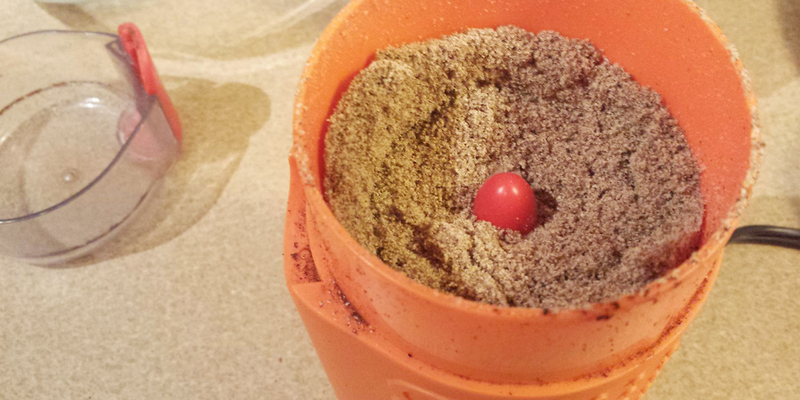 Grinding them up helps accelerate this process. Whisk together ground chia seeds, flour, powder, soda and salt. Work out any clumps and make sure your baking soda and powder is well incorporated into the flour. In a separate bowl whisk together lemon juice, oil, milk, agave and vanilla. Pour wet ingredients into the dry and whisk until smooth. You should be able to see and hear the reaction of the acid and soda working to fluff the batter. 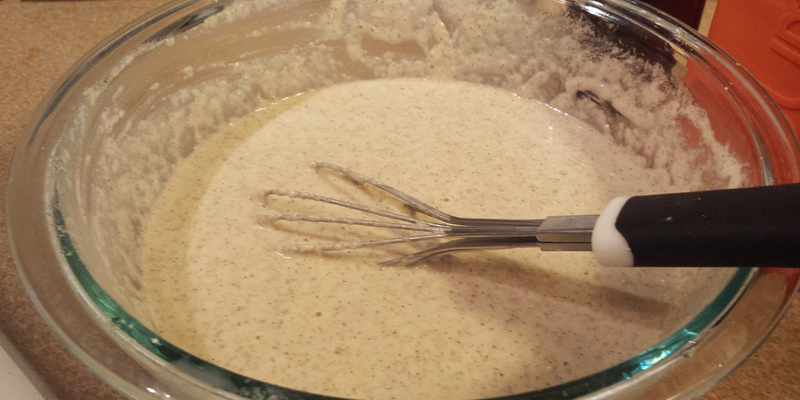 If the batter looks too dry add a tbsp or 2 of milk and whisk. Heat and grease a large skillet or griddle on medium heat for 5-10 mins. Drip a bit of your batter on the skillet to test the temperature. It should make a gentle sizzle noise. 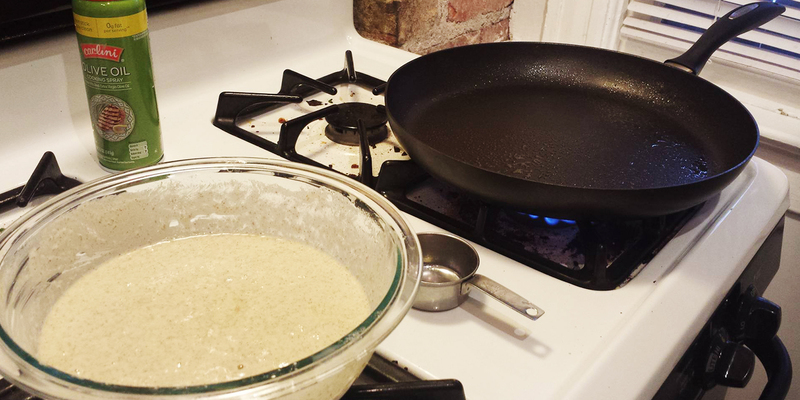 Ladle out 1/4 cup portions of batter onto your skillet and let them cook undisturbed for about 90 seconds-2 mins. You should see a couple of bubbles on top. Even if they don’t bubble still flip them shortly after 2 mins. 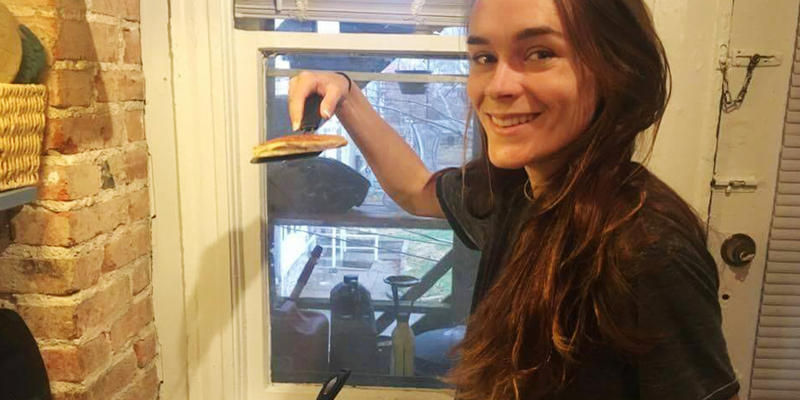 Pancakes get dry fast. Cook another minute on the other side and transfer to a serving dish.